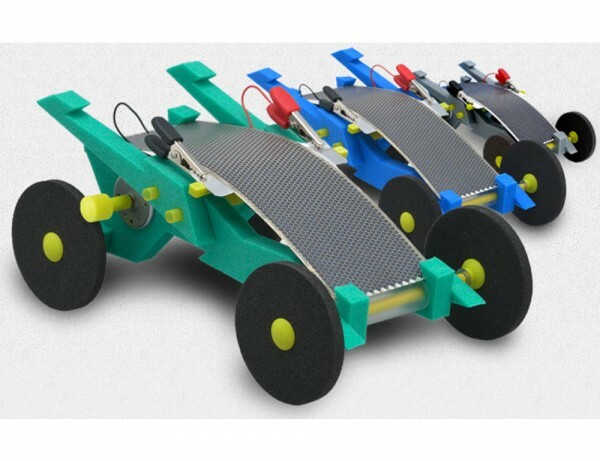 NEW PRODUCT – Volta Racers Solar Motorcar Kit « Adafruit Industries – Makers, hackers, artists, designers and engineers! NEW PRODUCT – Volta Racers Solar Motorcar Kit – Never go looking for some AAA’s again, this solar racer car requires no batteries! 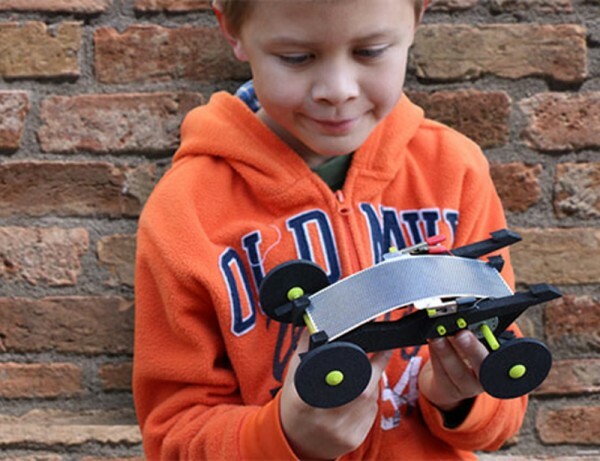 The Volta Racer Solar Motorcar Kit contains all of the necessary parts required to successfully assemble your car – including the worlds first flexible polycrystalline silicon solar cell used for powering toys. No special tools or batteries are required – just your hands! Makes for a great first electronics toy or project. Choking hazard, Small parts. Not for children under 3 yrs!